Copyright, Charles White, no reproduction without permission. 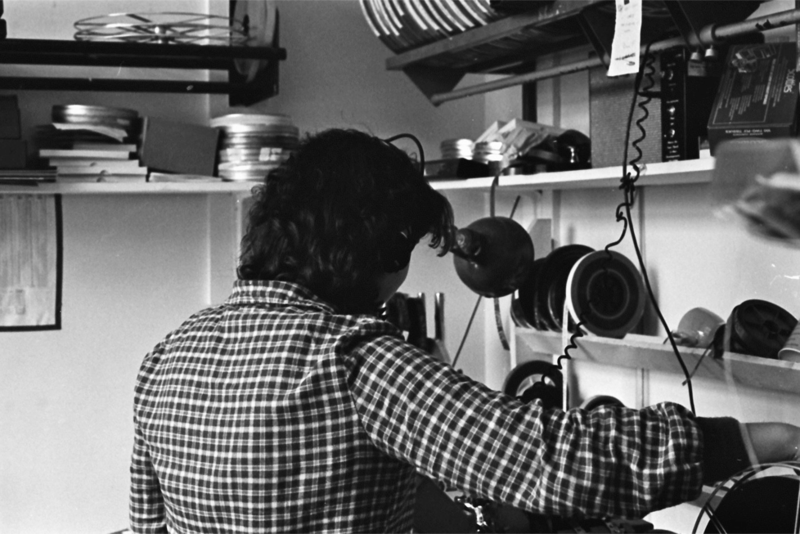 A stack of 1/4″ audiotapes recorded on location, transferred to 16mm magnetic tape, and then cut to bits in the edit. The items here include Top Gear inserts, and Pebble Mill at One inserts on midwifery. 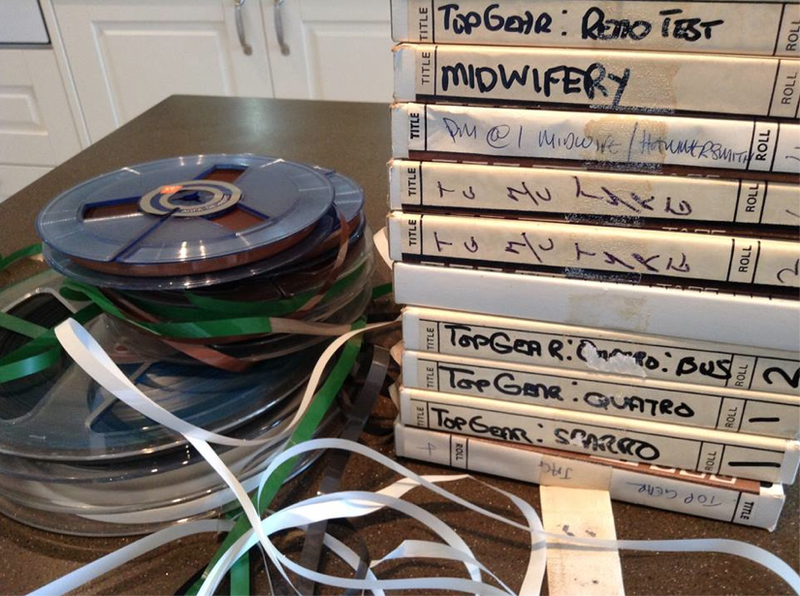 These were the master 1/4″ tape recordings from location, made from progs about 1986. The sound recordist locked sync on a Nagra using Crystal sync, and they matched the 16mm film, when it was transferred back in Sound transfer, by messrs Poole, Peissel, et al. We as assistant editors then locked the Mag and film on a 6-way Acmade using the Clapper board frame to synchronise. This could be done using the ‘front’ or ‘end’ board. Thanks to editor Charles White for sharing the photo, adding the information – and for keeping the audio!